In a hurricane prone area, you might think twice about installing roof vents. It’s a more complex decision than some other construction matters. On one hand, roof vent installation may impact cooling systems and cooling costs, while on the other hand create weak spots in your roofing mechanism. Adding roof vents to your home might leave you concerned about several problems. Having all the information to make a choice that you are comfortable with in the long run is important. Like any part of your roofing system, they will need to be properly cared for and checked before and after storms. It is usual advice to have the kind of roof that needs the least amount of maintenance and securing for the hurricane season. This also means less chance of repairs, or more standard repairs, after the fact. Roof vents have major benefits but as stated, will also need maintenance around the hurricane season. There are safety measures to put in place around all components of your roof and vents are no different. This should not deter you from installing roof vents. 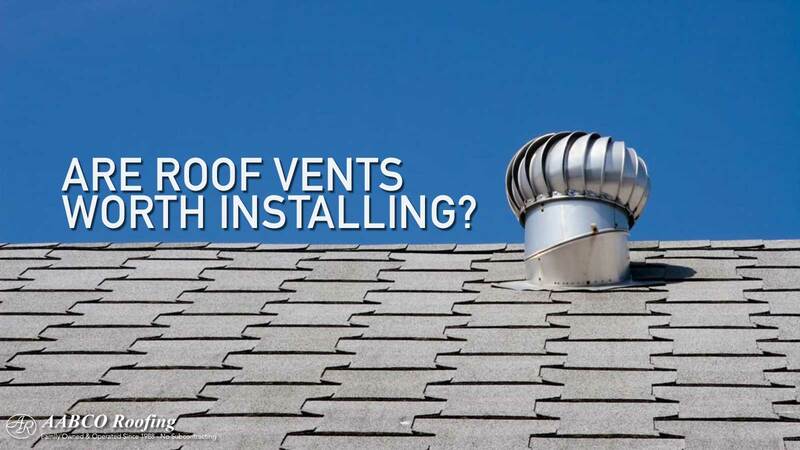 The right kind of vents in your roofing system, studies have shown, could create air flow that prevents major damage. Roofs get ripped off homes because of the air flow system that the storm creates, putting pressure on all the wrong places. Roof vents could leave your roofing vulnerable to pests, giving them an easy access point. However, proper ventilation might actually deter these creatures as they seek out warm, closeted spaces. Even so, proper installation and regular maintenance are still recommended for this because pests can get in anywhere. While it makes sense that vents in your roof would interfere with your cooling system, suggesting it may need to work harder because natural elements are influencing the environment, cleverly installed vents could rather make you less dependent on an internal system. They could work to let warm air out when it rises if you opt for both exhaust and intake roof vent installation. They wouldn’t necessarily channel warm air into your space. When installed properly, including roof vents can have some very real upsides. We have hinted at some of them above, here are some others to consider. Mold can be a real problem in a hot and humid climate such as ours here in the south of Florida. Air vents naturally create fewer spaces where mold would be happy to grow. This is a major upside when it comes to maintenance costs. The fact that they impact positively on the mold and damp situation means they will improve the lifespan of your roof. It’s not just maintenance costs that will be reduced. Everything about a roof vent works towards keeping your roof healthy. This has been mentioned above but the point is such a massive consideration for home owners. Utility costs can be really high. Homes need all the help they can get staying cool and fresh in our climate. With utility costs coming down, it’s also a good reminder that you are making your home more environmentally efficient at the same time. Things like roof vents and skylights are small ways your home design can bend natural elements to your favor more efficiently. Prevention is better than cure, and this is what roof vents provide. The verdict you will most likely come to is that roof vents will save you time and costs in the long run. Roof repair cost can be a massive expense, and maintenance costs can be brought down by installing professional and suitable vents to you roof. They are something to look into if you would rather not find yourself with major unanticipated inconveniences down the line.